Become a Friend and help us to support the finest Craftmakers in Wales. Learn more about craft, support our craft based education projects, community work AND and enjoy some great benefits. Friends of The Makers Guild in Wales share an appreciation for Welsh craft and the skill of our members. ​As our Friend you will be supporting the Guild and promoting the best in Welsh applied art while having fun! 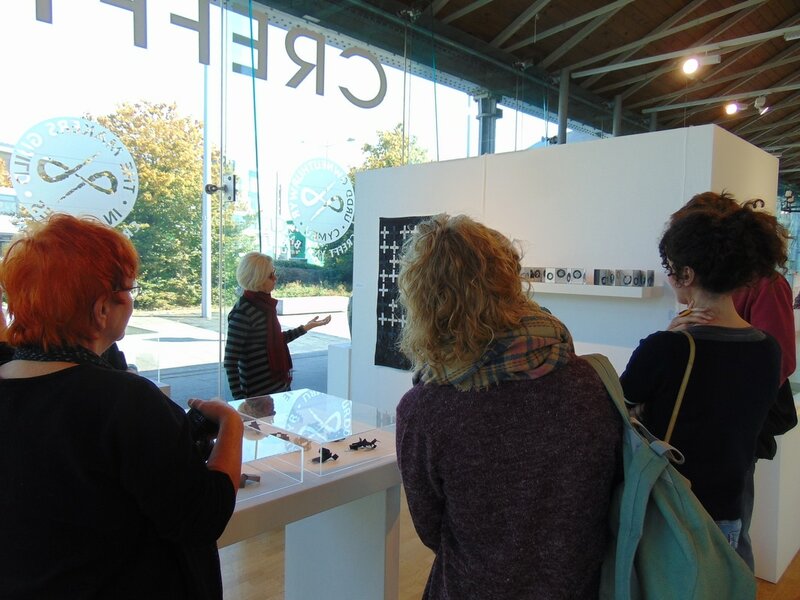 ​​Exclusive Friends' previews of exhibitions at Craft in the Bay, with drinks reception. Friends' 'Meet the Makers' events to meet our craft makers and find out more about their work, inspirations and achievements. Subscriptions lasts for 12 months and are £25 single and £45 couple/family membership. Many of our Friends enjoy supporting the organisation by volunteering a day of their time to help steward in the gallery. If you are interested in volunteering, let us know on the application form. Buy unique craft works made by our Guild members. Find gifts for all occasions - jewellery, textiles, ceramics, furniture and more. We also offer a corporate gift service.